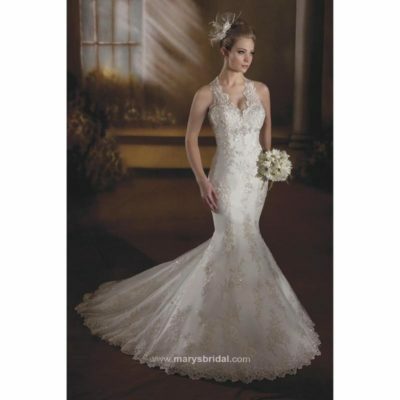 A-line bridal gown with a sheer jewel neckline. 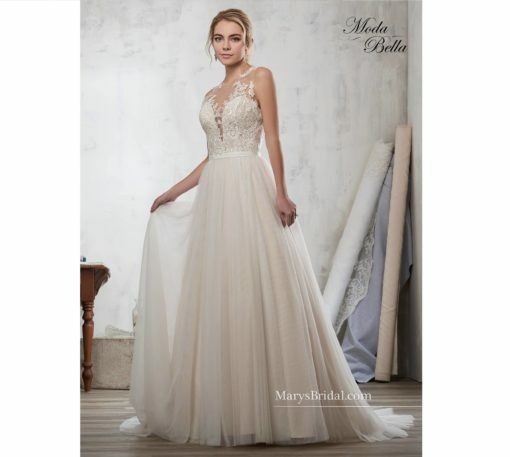 The back features buttons and lace details, and a chapel train. The bodice lining is detachable.